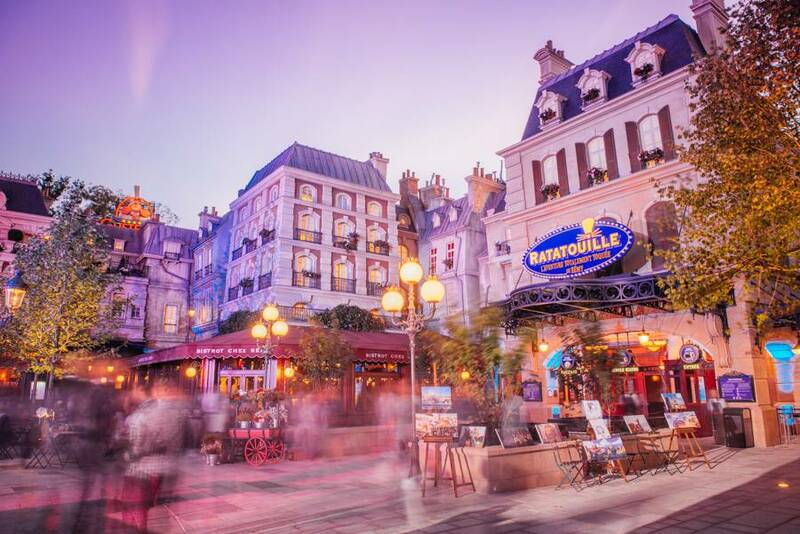 PARIS, FRANCE – Its not only one of the most anticipated additions to Disneyland Paris, it’s the first of its kind in a Disney theme park to so successfully blend visuals in 3D along with sets, sounds, smell and even sensations of water and air in a family-sized adventure. Since Ratatouille not only hit the right chords in terms of story and animation, it was a glorious love-letter for Paris and the food it serves, which happen to be two things French are so very proud of. 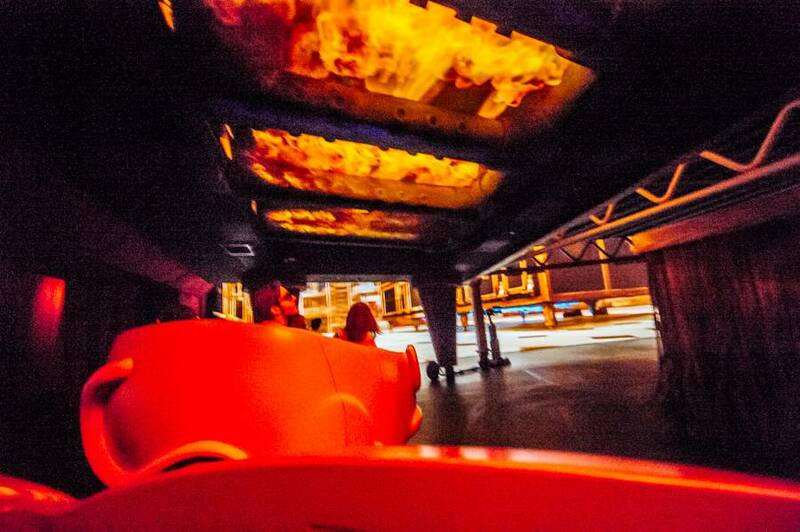 In an interview with its lead imagineer, Tom Fitzgerald revealed that it still took over five years to create this complicated attraction, but did they pull it of? 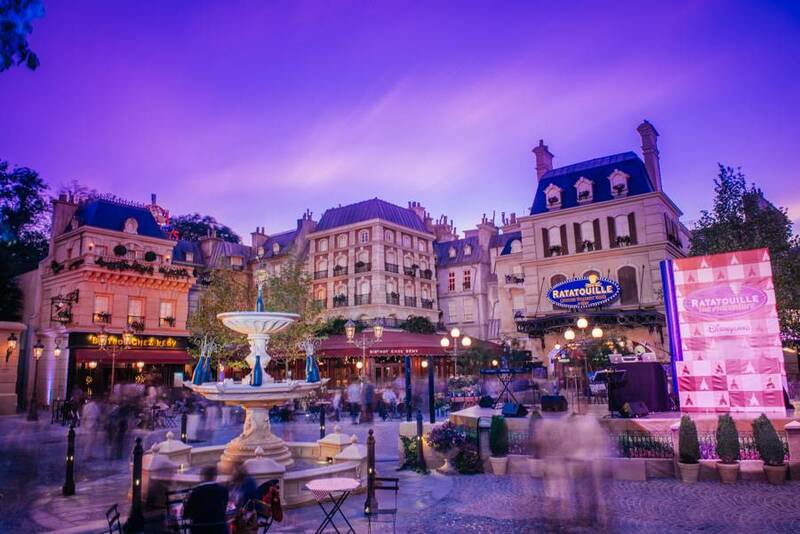 Since the opening of the second theme park in Disneyland Paris the Walt Disney Studios Park it has yet to transform in a ‘full-day’ park. However, Slowly but surely Pixar has been taking over the Walt Disney Studios Park in Paris. 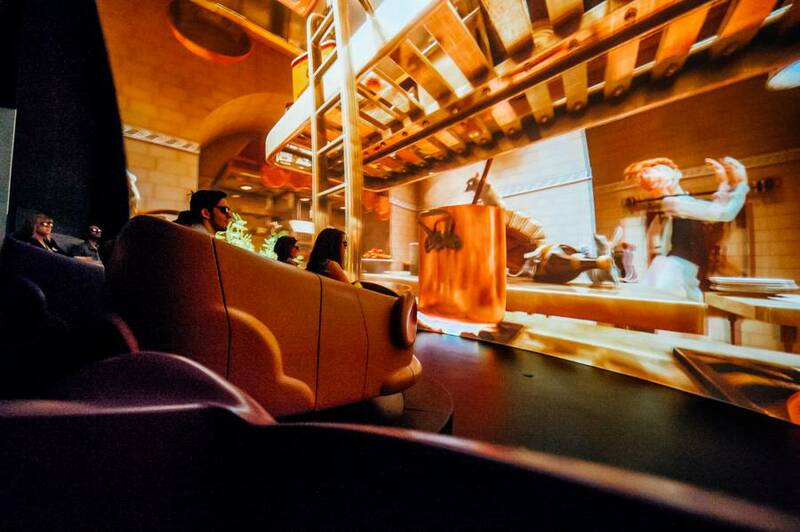 Not only is Crush Coaster so popular (it often has lines exceeding two hours or more), but each of the Pixar attractions has been a sure-fit hit with the guests. 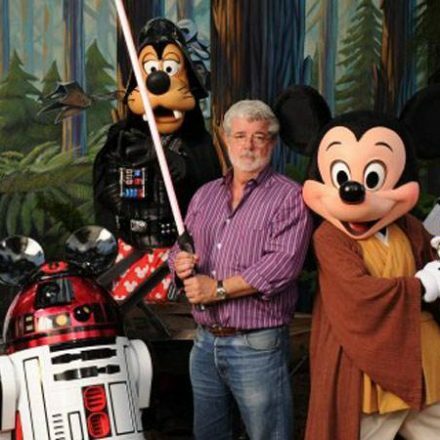 Still, what the studios needed was an attraction that could cater to families of all ages. Since the addition of Toy Story Playland it has been hinted in many rumors and details that a Ratatouille-based attraction would be coming and after a two-year construction time in Marne-La-Vallee the brand new land has finally received its official opening by the CEO of the Walt Disney Company himself, Mr. Bob Iger on the 21st of June 2014. What started as an empty walkway to Toy Story Playland got transformed into one of the hottest places in the Studios park. The entire area is absolutely top-notch. If you where to drop people blindfolded in the area they would be sure to think they where in Paris themselves, instead of a 40 minute RER-trainride away. It’s not until after some moments you start notice that you actually stand in the middle of Disneyland. 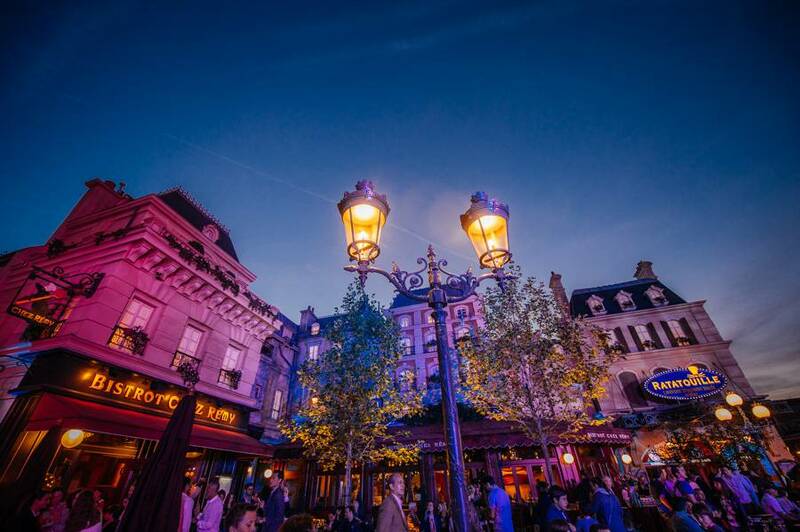 Visiting the real Paris a few hours after visiting Ratatouille, it’s obvious that, just like the movie, this attraction is a love letter to the Paris we all know from the movies, real or animated. A cleaner, nicer version if we can say that. If we look around we see colourful buildings, with in the middle is a nice fountain. 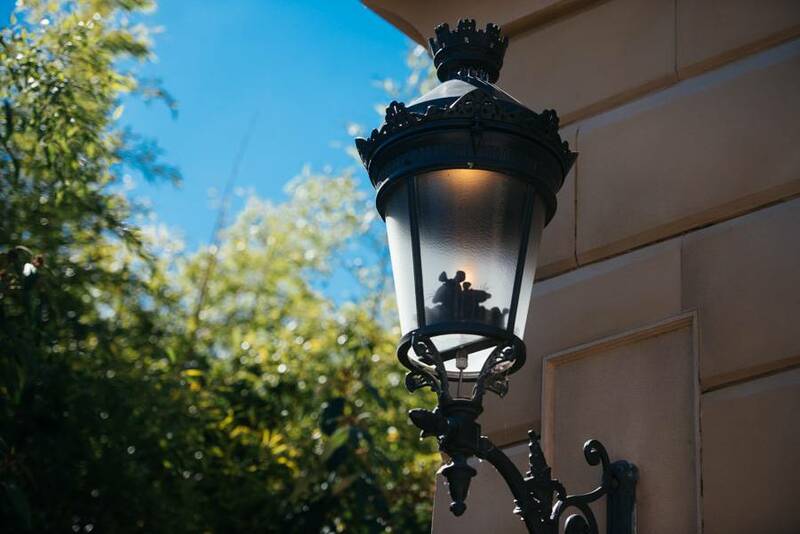 Across the entire area there are so many glorious details to be found, like the rats in the lamps and fountains, or even the custom-made manhole covers. Advertisements for Gusteau’s frozen food products hang next to alleyways, and even the food inspector from the movie lives on the square. The terrace of Bistrot Chez Remy looks inviting as it could be, even clamouring for attention, days after my actual visit. I must confess that instead of the noisy locations of the city I am still dreaming of those sun-filled terraces with Michael Giacchino-composed music playing. Too bad they apparently were only there for the press event. 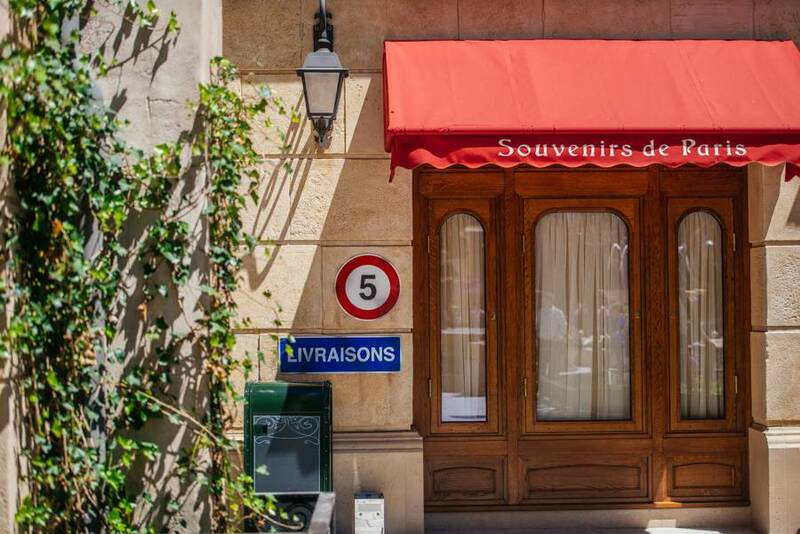 In the center of the main building is a classy blue sign with the Ratatouille logo. Three entrances are possible: Fastpass, Single Rider and the classic standby queue. 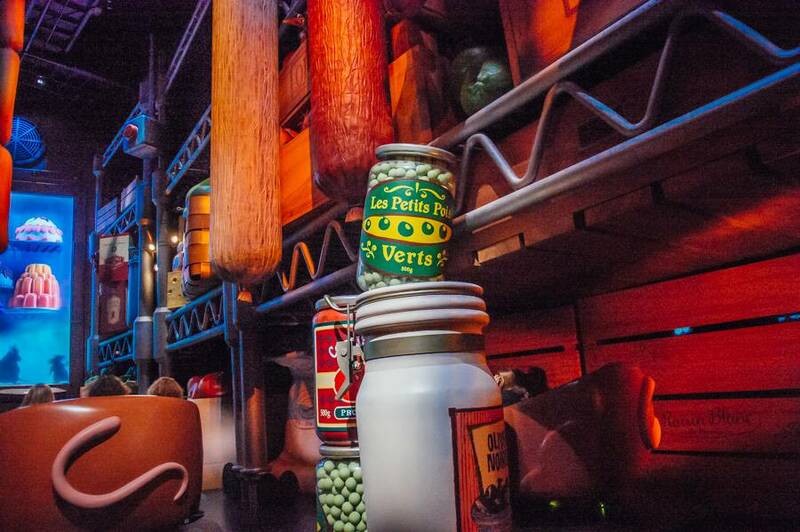 If you didn’t know this already, this attraction was built with a higher capacity in mind. The outside queue is rather small, and the inside queue is especially tiny. Once inside, you enter a nice parisian hallway, but after the first turn you suddenly find yourself upon the Paris rooftops. We are still ‘human scale’, but standing on top of rooftops you can hear dogs barking, people talking and even the occasional musical instrument practicing from different windows. It’s obvious we’re in a busy neighborhood. 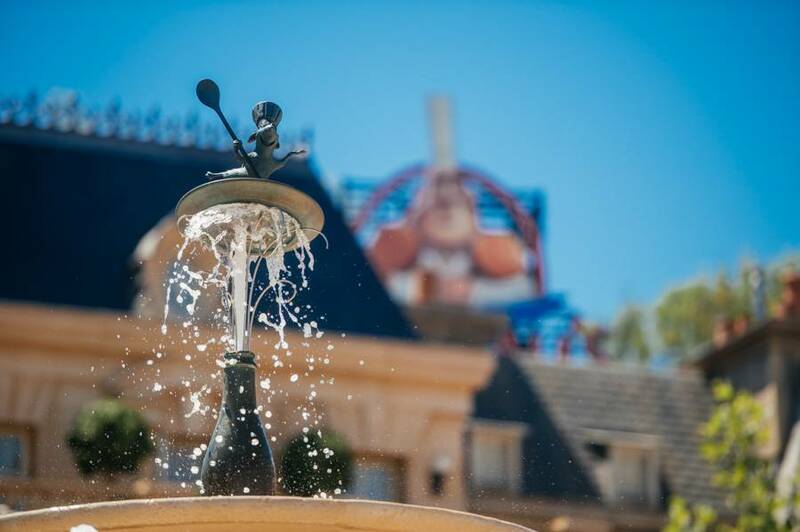 But those are only minor details, because as soon as you enter, your eyes will focus on one thing: The huge Gusteau sign towering above you. But with Disney Magic at its finest, the late chef springs to life and welcomes us. If you rush in at rope-drop, I can only suggest to take it easy and explore the space you are in. Not just because of the fine detailing, but also because your eyes will need to adjust to the darkness. As soon as you leave the area it’s time to pick up those 3D glasses and before you know it you are aboard the huge area [what is the huge area? Do you mean a large queue area?]. All of the sudden we are scaled down and walking towards the two packs of rat mobiles. In the background are huge Parisian buildings. Michael Giacchino’s score sounds as romantic as it can be, while the rat mobiles move in a way reminiscent of ballet! We scurry between the rooftops, while the first effects are very subtly presented! State-of-the-art 3D projections are combined with a classic pepper’s ghost effects as we rush into a high-definition projection screen. Not that you would know it, as it looks as realistic as a huge set they could have constructed. When all of the sudden we fall it’s almost impossible to believe you aren’t actually diving meters deep on a slide. 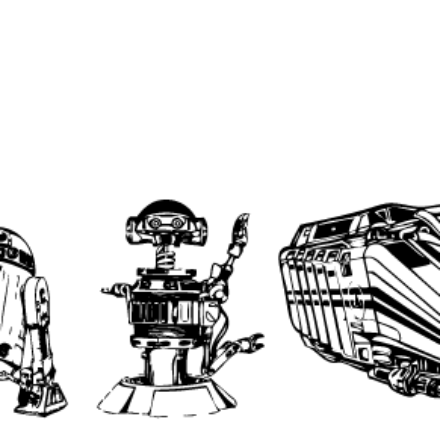 If flying the Starspeeder 3000 when it’s losing altitude at the Death Star wasn’t realistic enough, this one tops it with even less movement. Not long after, we are in a huge fridge, and here we have a sense of how those rat mobiles really do have a mind of their own. In the five times we rode it, we kept having different paths and seeing new things. I will not spoil the rest of the story, but each of the scenes is a great mixture of 3D projection, practical sets, and a vast array of sensory sensations. From being swept away by a wet broom to feeling the heat from an oven, from smelling sausages being baked, to feeling a champagne cork hitting you (You might get wet!). 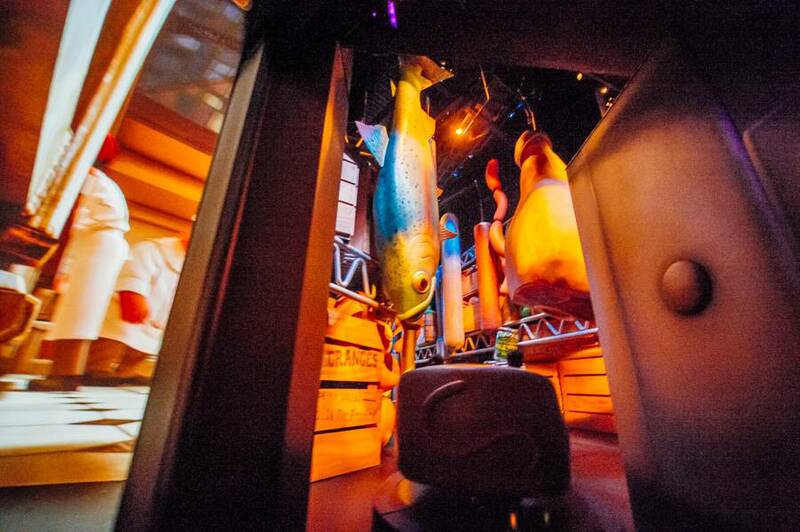 Disney classifies this as a multi-sensorial adventure and they are more than right. In the end, the almost five minutes feel like two and before you know it the rat mobiles end their ballet, and you arrive at the … restaurant! Yes! 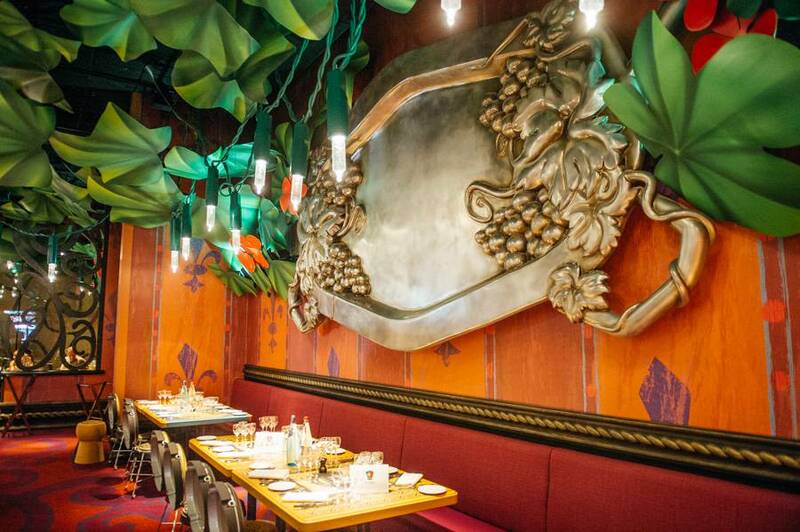 No gift shop, no on-board pictures, but Rémy’s restaurant from the end of Ratatouille. 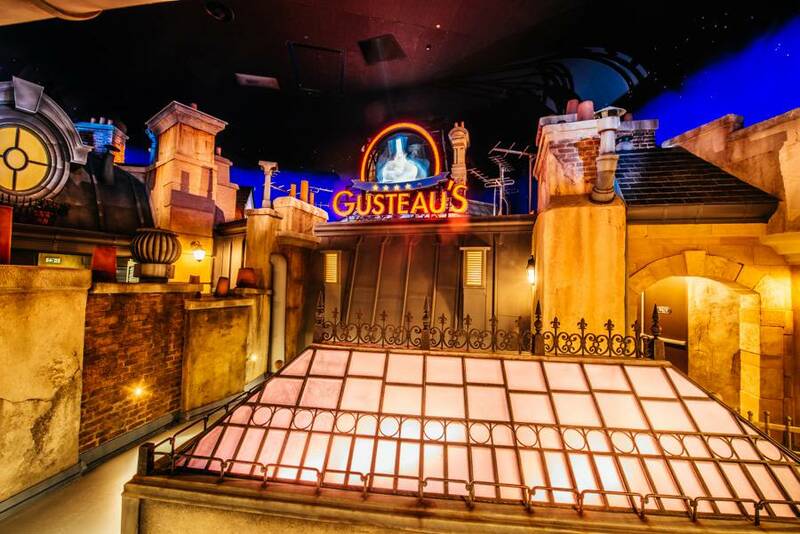 Building a full sized Gusteau’s would look amazing, but why would they? Paris is close enough to enjoy a real top-restaurant (or in case of the places around Paris Gare du Nord: places that are in dire need of the food inspector). Instead, they chose to recreate the little bistrot we see in the end of the movie, and boy did they ‘get’ it. 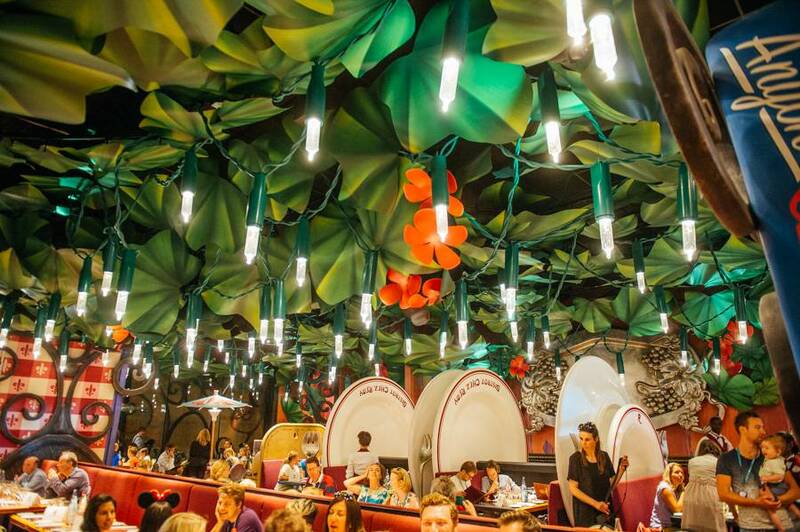 Over 2000 hand painted geranium leaves, huge christmas lights and more; every little detail is right and it’s one of the most immersive restaurants in Disneyland Paris. Food-wise as a vegetarian we found the food to be lacking in creativity and taste, however it was a preview opening, and things will still be changing. 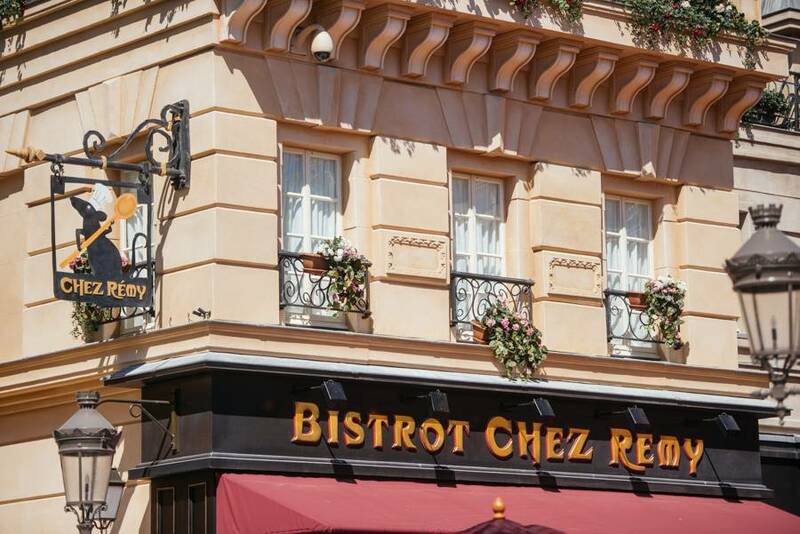 So don’t let this stand in the way of experiencing Bistrot Chez Rémy. 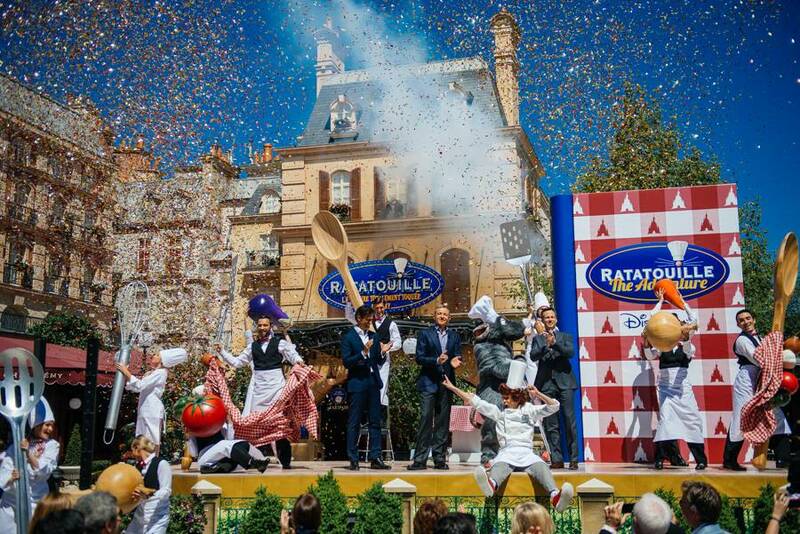 This shop will feature all Ratatouille related merchandise, but will be opened in Autumn 2014. Anyone can create, but it takes the masters of Walt Disney Imagineering and Pixar Animation Studios to create such an amazing adventure. 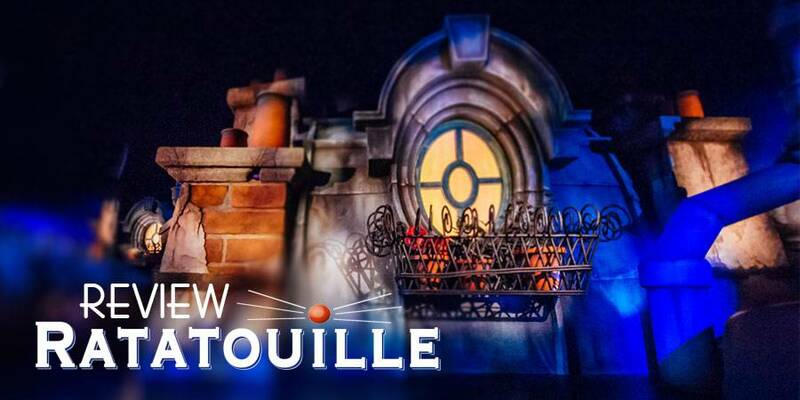 If you are planning on visiting Europe, make sure to stop in Marne-La-Vallee and not only discover a gorgeous Disney park, but also the top notch Ratatouille attraction. Screenshot Ratatouille © Disney – Pixar. Pictures © Kris Van de Sande for EndorExpress.